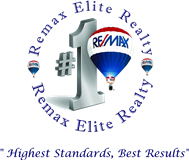 Pete is such a great realtor and person! He went OVER AND BEYOND the expectations in searching for our first house. He was very attentive to us and truly listened to what we wanted in searching for our house. Pete was wonderful in keeping us in the loop with all the communication at ALL times. Use Pete as YOUR realtor... We HIGHLY recommend him!!!!! Pete is an amazing real estate agent. He has been our agent for the sell and purchase of 3 different homes. He has guided us through the process and been our advocate at every turn. He always goes above and beyond and is a consummate professional who gives care to every detail. We highly recommend Pete Kotsovolos and will use him again for all of our real estate transactions. Pete was extremely helpful with my families move across the country! He went above and beyond to make sure everything was taken care of for us while we were still in another state. He always had our best interest at heart and extremely trustworthy. He will be forever more are Florida agent. Peter has sold 4 properties for me, and I find him excellent in everything he says and does for us. Very impressive website with an abundance of information. I will definitely recommend to family and friends. Very professional and experienced, I highly recommend. We were very impressed with Pete. He handled the sale professionally and was always available for any questions we had. We would recommend him without reservation.